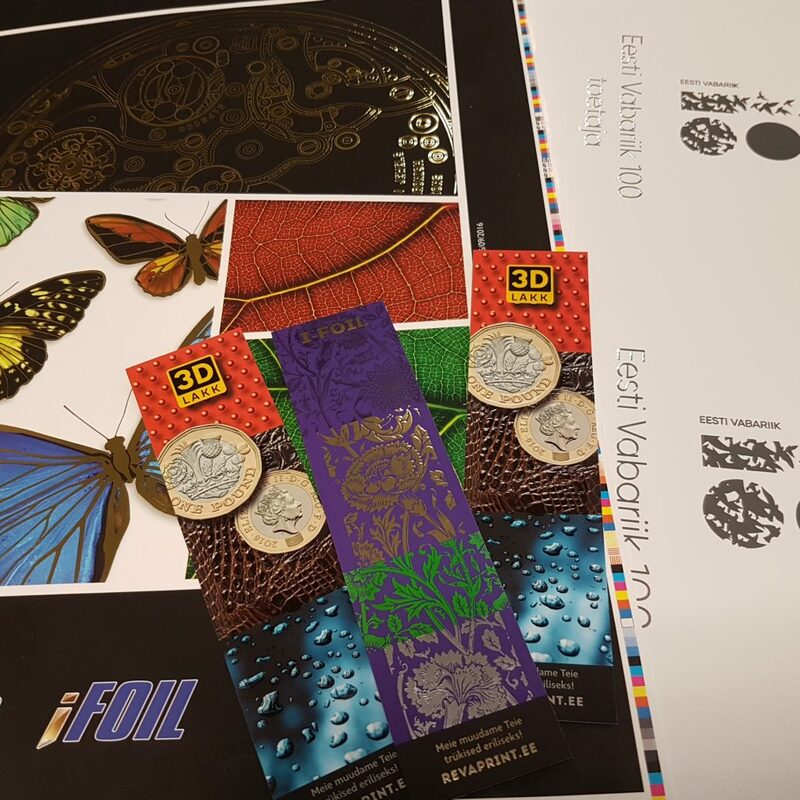 UV 3D digital spot varnish (several varnish layers of varying thicknesses) and I-foil. 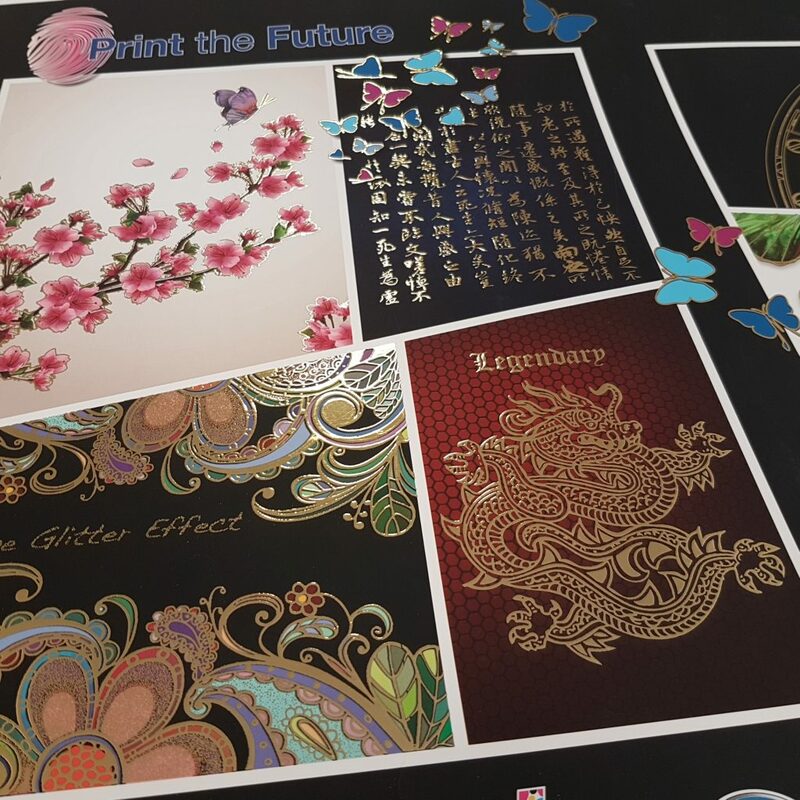 The same digital device can produce regular and markedly raised UV spot varnish, among others, for digitally printed materials. Digitally printed materials need surface-active lamination. Maximum sheet size 520 × 1050 mm; minimum 210 × 300 mm. Weight in grams: min. 135 g/m² (I-foil 150) – max. 600 g/m². Spot varnish can be used to highlight a single detail of the print (in the case of 3D, to cover several specific details with varnish layers of varying thickness) or to varnish just a part of the image. The varnish is applied to the printed paper or laminate using digital technology. The paper that is going to be varnished should be coated, preferably matte laminated. Our Sense laminate gives a perfect result. The advantage is a more pronounced sheen, although it must be taken into consideration that a thick layer of varnish is prone to cracking, which is why spot varnish is not suitable for the backs of magazines/books, edges. 3D varnish can be raised up to 200 microns; however, the optimum thickness is 70 microns. It is possible to use up to 10 layers of varying thickness; however, the optimal number is 1–3. In order to be perceivable, the difference between the varnish layers must be at least 30 microns. Regular, embossed or 3D varnish produced on the same basis can be coated with gold or silver foil. The minimum thickness of the varnish layer for I-foil is 30 microns. Files can be easily created in the programs offered by Adobe; an instruction manual can be sent in English, if necessary.